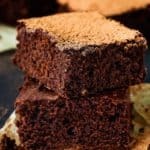 These Eggless Brownies are the most amazingly delicious, brownies ever! They’re made completely from scratch with ingredients you probably have at home. Easy to make and easier to eat. I feel like I just hit the jackpot!! 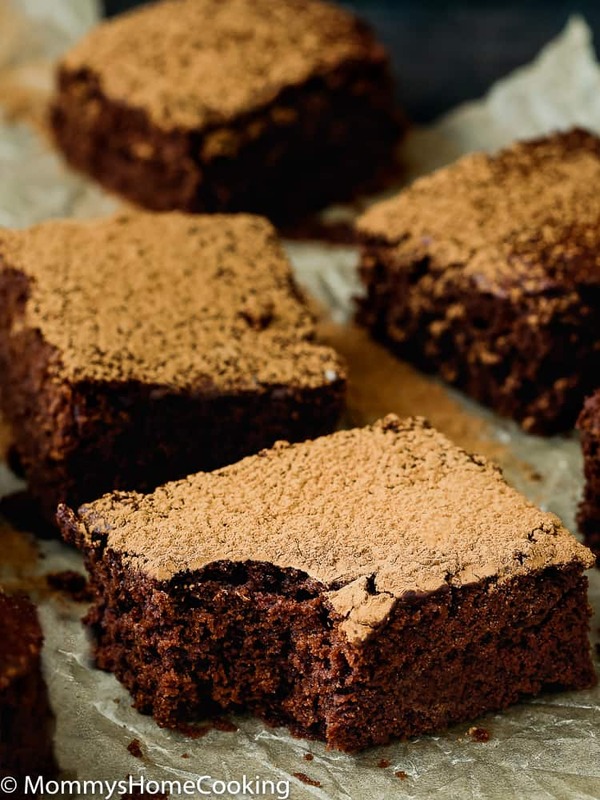 This Best Eggless Fudgy Brownies recipe is A.M.A.Z.I.N.G! We all loved it. My daughter, who certainly did not inherit my sweet tooth, was in a chocolate ecstasy hahaha. And let me tell you, when I saw my little girl face eating her first brownie ever I felt wonderful. 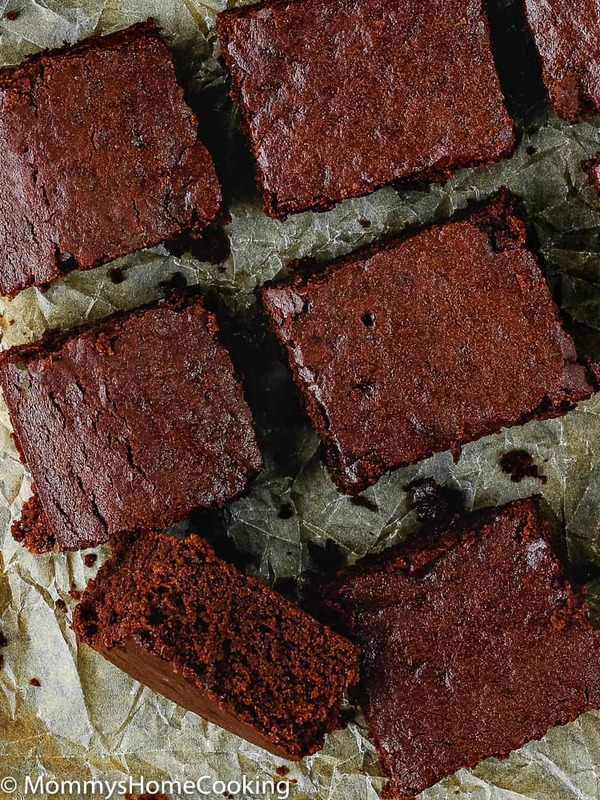 It might sound weird to you…why such a big deal for a brownie? Well…due to my daughter’s egg allergy, common things like eating brownies, cakes, or even pancakes are very challenging. 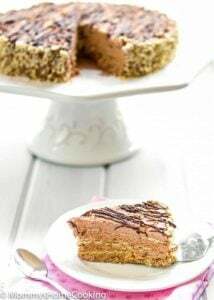 Especially during special occasions, such parties, when kids usually eat treats. So having all these eggless recipes is a blessing. 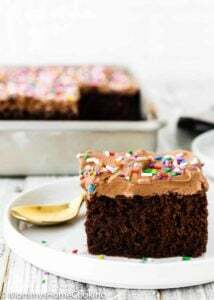 These Eggless Fudgy Brownies are super easy to make and come together in minutes. There’s also a good chance you already have the ingredients on hand. I wasn’t able to develop this brownie recipe without a little practice, trial, and error. I wasted a lot of sugar, flour, and chocolate in the past few days. But it was all worth it. It feels great to make something special for my kids. Even better, though, is when we get to spend the time making something delicious together. 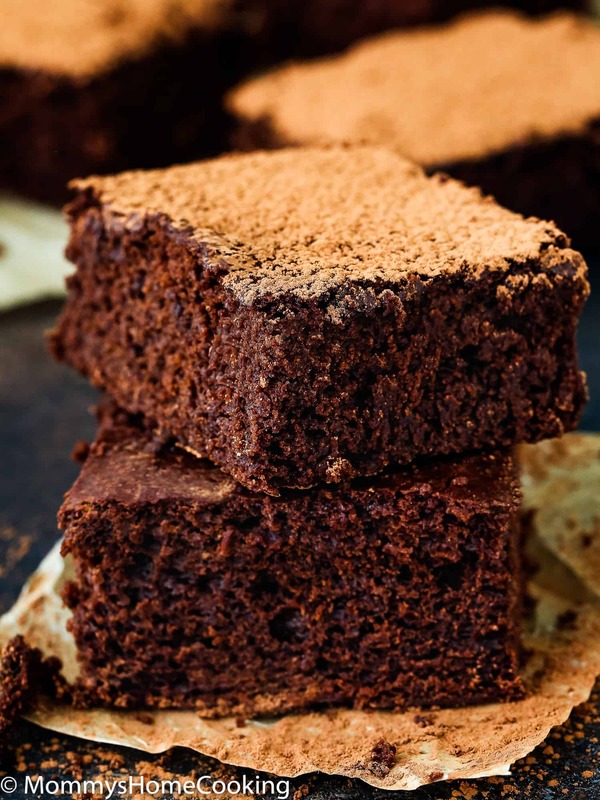 The brownies will stay fresh in an airtight container at room temperature for up to 4 days. Unfrosted brownies freeze well, up to 2 months. 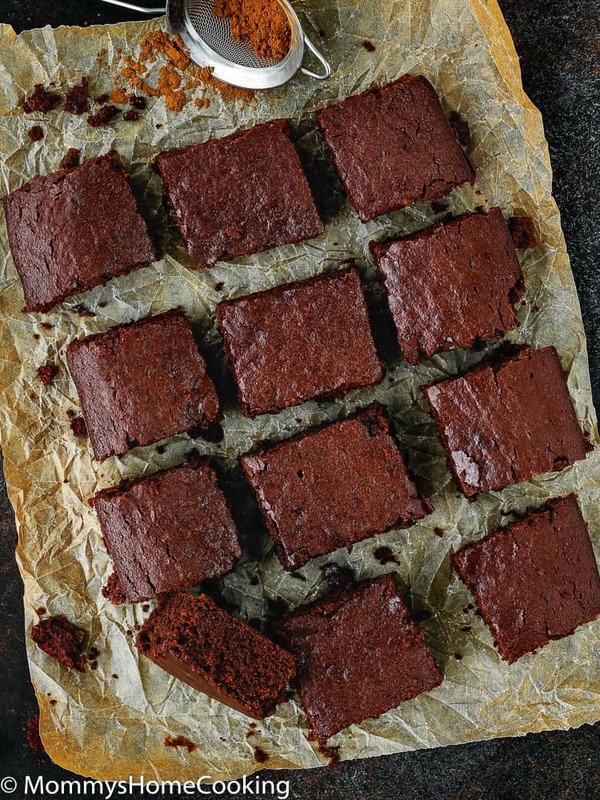 To freeze brownies, make sure that they are suitably wrapped to reduce the risk of freezer burn. Wrap them individually in plastic wrap and then with foil. How to thaw frozen brownies? To thaw the brownies, unwrap them from the foil and plastic wrap and let them stand at room temperature for 3-4 hours before eating. 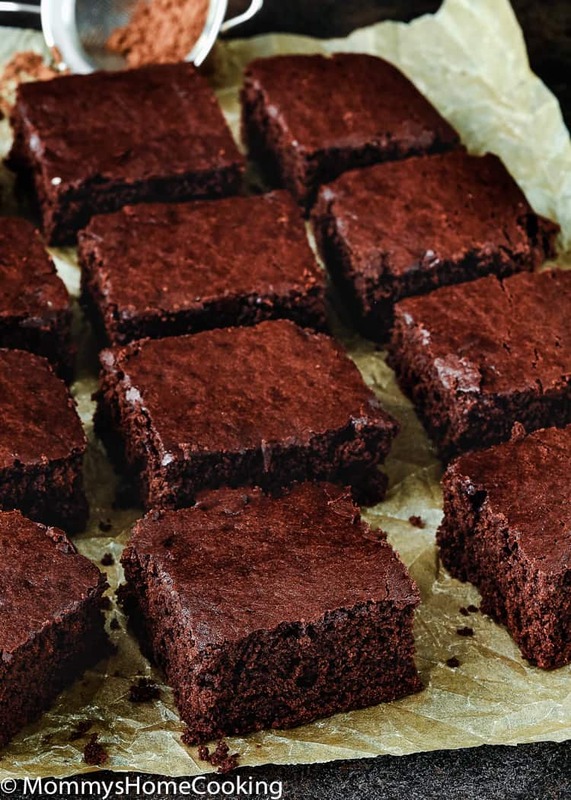 You must give these brownies a try. We love them so much and for sure we’ll make them very often. 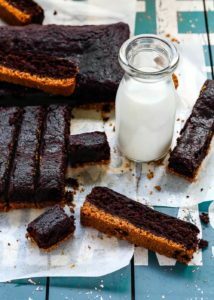 These Eggless Fudgy Brownies are the most amazingly delicious, brownies ever! They're made completely from scratch with ingredients you probably have at home. Easy to make and easier to eat. 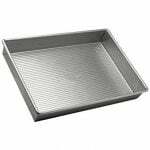 Preheat oven to 350° F. Line a rectangular baking pan (9x13 inches) with parchment paper and lightly spray with baking spray. Set aside. 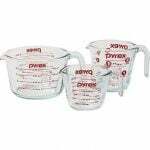 Place butter and sugar in a large microwave-safe bowl. Microwave for 30 seconds, then remove and stir with a whisk. Repeat process 2-3 more times until the mixture looks glossy and the butter is completely melted. Allow mixture to cool slightly. Add oil, yogurt and vanilla extract; mix until well incorporated. 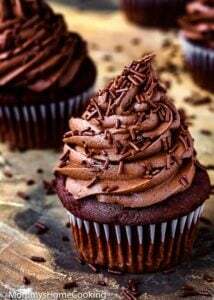 Add in cocoa powder and continue mixing until incorporated. Add 1 cup flour mixture and baking soda; mix until combined. Add buttermilk and vinegar; mix until combined. Add remaining flour and mix until just combined. Please DO NOT overmix the batter. 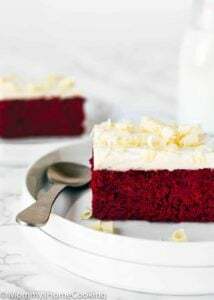 Pour the mixture into the prepared pan and bake for 35 -40 minutes, or until set and a toothpick inserted in center comes out with just a few moist crumbs. Let cool completely before cutting. Use a large serrated knife to cut brownies in the desired size. If you want, you can add chopped nuts or chocolate chips to make these brownies even more irresistible. I am not a baker but tried this recipe and I stayed true to every item (except I did add some chocolate chips!). 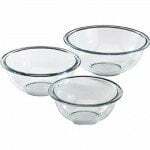 I have never lined a baking pan with parchment, and the end result was the sides baked higher than the middle which I wonder had something to do with the paper. Still delicious and I usually hate the crunchier edges of brownies but these stayed moist. 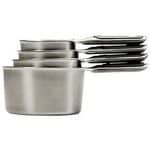 Is there a trick with lining pans with parchment? Hello Lekha! I am so happy you found my blog and that my eggless recipes are helpful for you. Be sure to shout out if you have any questions! These brownies are amazing. I took them out a tad bit early and they turned out to be fudgy on the inside and crisp on the out.Perfect. P.S I used the yougurt + milk mixture as buttermilk. How many grams is 12 TBS of Butter? 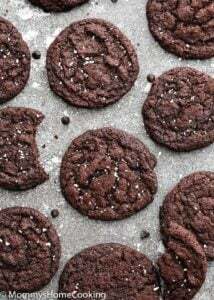 Hey I tried a small batch of brownies today and it was great tasting can’t believe it’s egg free.awesome job👍 .the only thing is I found the texture cakey than fudgy.i used white vinegar in place of apple cider and regular flour with baking powder.What can be the reason for the texture? Your brownies look great!! The recipe calls for 1 cup yogurt and 1cup buttermilk also vinegar..will it make brownies sour? Oh my gosh these are so perfect for Halloween! You’ve got some serious brownie decorating skills!